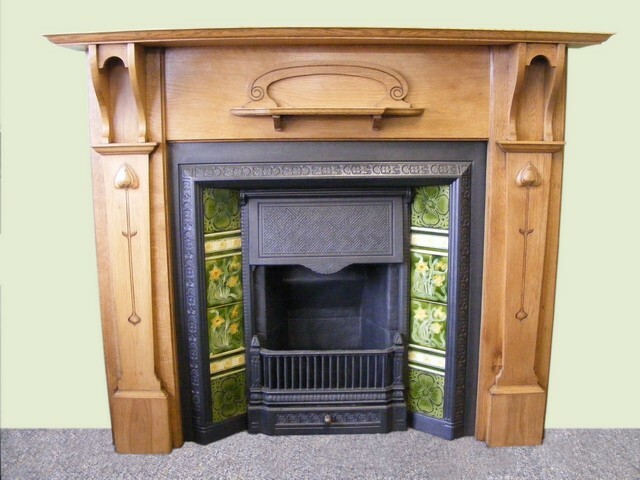 Category: Antique Fire Surrounds and Inserts (Available separately), Edwardian Fireplaces, View All Antique Fireplaces. 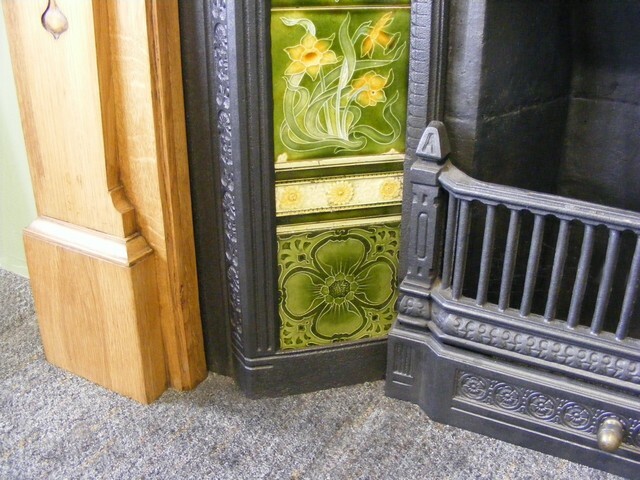 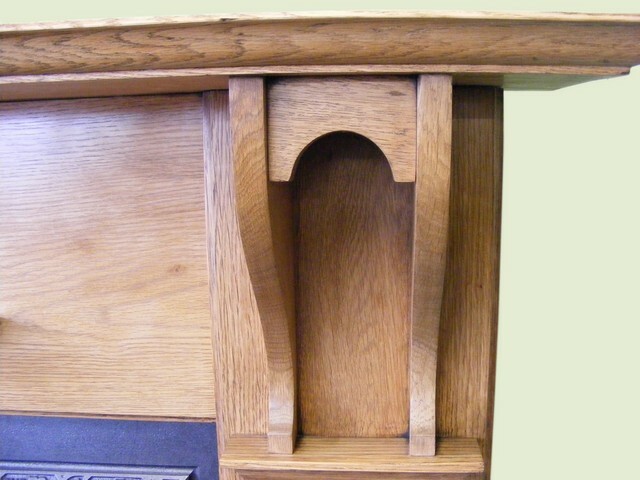 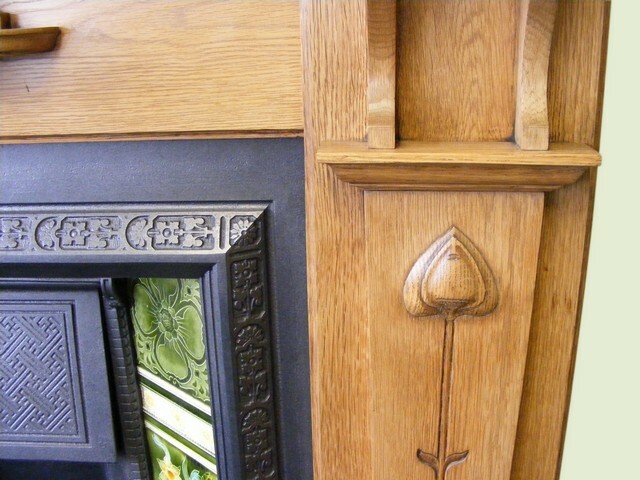 Art nouveau fire surround (AWS-1350) A magnificent oak Art nouveau surround with tapered legs and a pair of beautifully carved stylised tulips rising to bracket capitals and a central shelf with elliptical and scrolled embellishments. 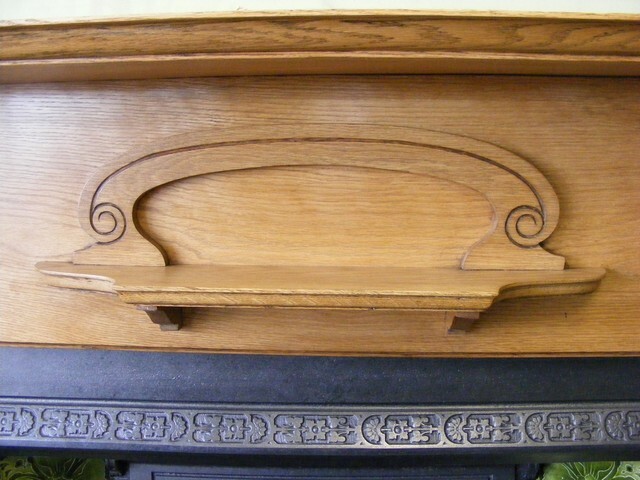 Hand stripped and repolished to bring out the natural beauty of the oak. 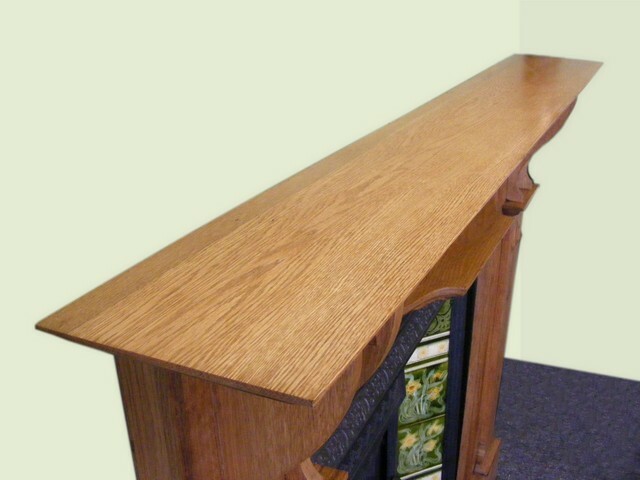 Measures 61”wide x 49.5”high with an opening 37”wide x 37.5”high. 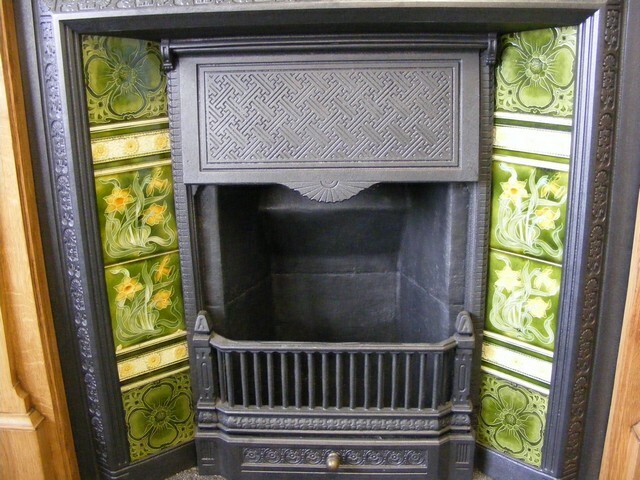 Priced at £1200.00.